If you’re like many other property owners in Yuma, AZ, you’re not alone in experiencing the frustration of having too many tree stumps marring your otherwise beautiful property. As a local arborist, Pendleton Tree Service offers tree stump grinding to deal with your tree stump problems once and for all. Using state-of-the-art equipment, the team at Pendleton Tree Service can effectively grind your tree stumps to a mere pulp. 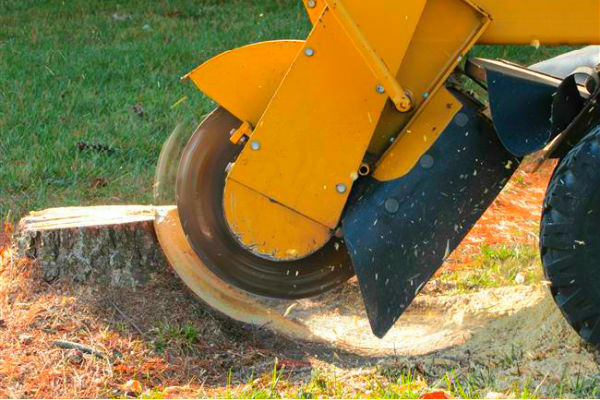 Tree stump grinding requires heavy machinery coupled with the right experience and skill, so attempting to do it yourself could result in injury as well as property damage. Don&apos;t take chances when Pendleton Tree Service offers reasonable rates and easy appointment scheduling for commercial and residential customers across Yuma, AZ. Improve your property and eliminate potential trip hazards with thorough, effective tree stump grinding services from Pendleton Tree Service. Call us today for more information or to request an estimate for your home or place of business. Call Pendleton Tree Service at (928) 304-2015 or send us a message below for inquiries or to schedule an appointment.